As one of the world's most intensively automated regions, Asia's rapid development as a leader in industrial automation is belied by the expansion of one of its largest automation shows, Taipei International Industrial Automation Exhibition, into two halls to accommodate larger booths and increasing numbers of exhibitors. The Imaging Source and its partners Nevis and Sure Tech exhibited their newest product releases such as the 38 Series cameras featuring the USB 3.1 (gen. 1) Type-C interface and newest Sony Pregius sensors. 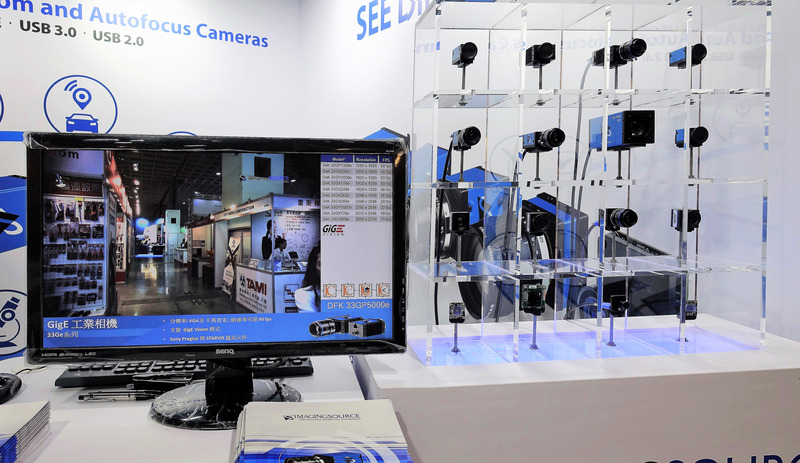 Booth visitors stopped for the newest cameras but stayed to learn more about IC 3D (using DFK 33UX252 cameras), a flexible stereo camera system which can be used with a variety of industrial cameras from The Imaging Source for a wide range of 3D vision tasks. Post published by TIS Marketing on September 4, 2018.